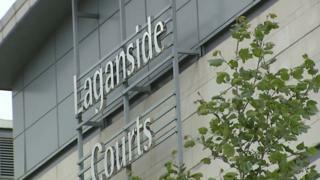 A man has appeared in court charged with membership of the UDA, a loyalist paramilitary organisation. David Coleman, 32, from Hopewell Crescent in Belfast, was remanded into custody at Belfast Magistrate's Court. A detective sergeant set out objections to bail based on the defendant's alleged high-ranking membership of the terror group. "He's the overall second-in-command of west Belfast 2nd Battalion, C Company UDA," the officer said. He added that police also believe that "he's the operational or military commander for the UDA in that area of the Shankill". The police witness said paramilitary crime has had a "pernicious, pervasive" impact on local communities. He said the UDA had been heavily involved in punishment beatings, drug dealing and loan sharking as it preyed on the vulnerable, with the Shankill area particularly affected. According to the detective, Mr Coleman's alleged role in controlling its illegal activities is based on mobile phone evidence. Claiming the accused could obstruct the course of justice if released, he described the C Company battalion as a sophisticated organised crime gang. "It is believed to have at least 27 members, all subject to an ongoing live investigation," he said. "Five have been reported and police are seeking two other members who are on-the-run at this time." Opposing bail, the police said Mr Coleman could frustrate efforts to locate a gun and significant quantities of drugs still believed to be in circulation. The court heard the defendant was arrested earlier this week by officers from the Paramilitary Crime Taskforce. It was also revealed that Mr Coleman had a cash-counting machine in his house. Further opposition to his release centred on an alleged access to money, which could aid any attempt to abscond. The detective confirmed that the accused had been adamant in denying membership throughout interviews, replying when charged: "Absolutely not, I don't belong to nothing." A defence solicitor argued that the case against his client was "vague and speculative". "There's no direct evidence of membership," he insisted. But refusing bail, a judge cited the risks of reoffending and obstructing the course of justice. Mr Coleman is due to appear in court again by video link on 16 November.